Waste-to-Energy (WTE), the process of converting waste into energy, is growing in popularity as a preferable option to landfilling. It is also believed by many that the new developments in WTE technologies will change the entire industry. There are, however, some common arguments against WTE. This article attempts to point out some of the major arguments against WTE and examine those arguments with some up-to-date information and facts. This is one of the most common arguments against WTE. As waste is the raw material for the WTE facilities, the establishment of more and more WTE facilities will necessitate more waste generation, thereby, will discourage recycling. 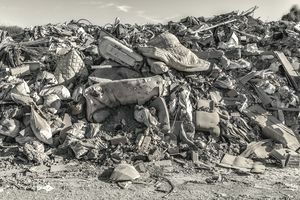 Environmentalists express concern that burning unsorted waste is easier and more economical for waste management programs than efforts to recycle. Apprehension surrounds the burning of waste because it may encourage people to forgo recycling if it is easier and more economically feasible to dump all waste into incineration plants without sorting it. In an article by academic and environmental activist David Suzuki for the David Suzuki Foundation blog, Suzuki states, “turning unsorted and usable trash into a valuable fuel commodity means communities are less likely to choose to reduce, reuse and recycle it.” Most environmental proponents, including Suzuki, promote the prevention of waste through more proactive product and service design that reduces the need for recycling and eliminates the need for waste management decisions such as the debate between choosing between WTE or landfill solutions. There is evidence that WTE is actually associated with better recycling efforts. So, WTE and recycling are more complementary than conflicting. The top five European countries with highest recycling rates namely Germany, Austria, Sweden, Netherlands, and Belgium are among the countries with the most WTE facilities and usage in Europe. They use their landfills to dispose of less than just one percent of the waste they generate with the majority of the remaining waste treated in WTEs. Their increased dependence on WTE facilities has not resulted in any decrease in recycling rates. So, the higher recycling rates in these countries make it clear that WTE has no negative impacts on overall recycling rates in a country. In the United States, both recycling rates and number of WTE facilities are much lower than that of Europe. Still, recycling rates in U.S. communities with WTE facilities are higher than the overall national recycling rate. So, it can be concluded that the argument is simply a generalization and by no means is true. The environmental impact of WTE generation has become negligible as technologies continue to improve. Obviously, recycling is a better option than WTE. So, we can simply recycle whatever is possible for us to recycle and use the rest of the waste in WTE facilities. The use of WTE facilities to generate energy from waste can reduce landfill requirements by 95 percent. According to the US Environmental Protection Agency (EPA), burning waste materials has higher average sulfur oxide and nitrogen emissions than natural gas, but lesser than coal. The partial incineration of certain waste materials can result in emissions of greenhouse gasses such as nitrous oxide (N2O) and methane (CH4). The byproducts of some burning methods contain heavy metals and many other toxic substances, which include furans and dioxins. But careful screening of feedstock and higher burning temperature can significantly lessen worrisome greenhouse gas emissions. Final Note: These two are the main arguments against WTE. Although the second argument is true, we need to understand the modern technologies have significantly lessened the amount of pollution resulting from burning waste and landfilling is even more harmful and damaging to our environment. Recycling is obviously a better option than WTE. But it’s a good idea to generate energy from the waste materials that we can’t recycle. So, recycling and WTE can go hand in hand and lessen the amount of waste to be landfilled.